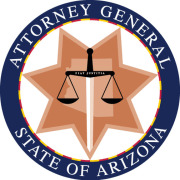 The Community Outreach & Education Division of the Arizona Attorney General's Office (AGO) maintains a network of neighborhood satellite offices throughout Arizona. Satellite offices are staffed by volunteers trained to provide information and take complaints on consumer fraud, civil rights and other topics of community concern. Volunteers serve an essential function of assisting Arizonans with questions and directing them to community resources. This service is invaluable to aiding those who are having difficulty with the complaint process, are unsure of what to do if they have been scammed, are in need of resources or have questions that they would prefer to address in person with an AGO representative. Volunteers do not provide legal advice.